Hello! 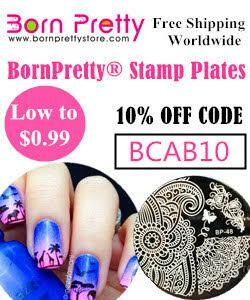 Today I have a review of some Born Pretty Store nail vinyls. Alice from Born Pretty was kind enough to send me some items to review, with a massive 90% discount. Among my package was a set of full nail vinyls. There were 12 patterns in total, each with 6 vinyls. The zebra/tiger stripe design really caught my eye, and I decided to test them out by creating these holographic zebra stripes! As always, read on for more info! 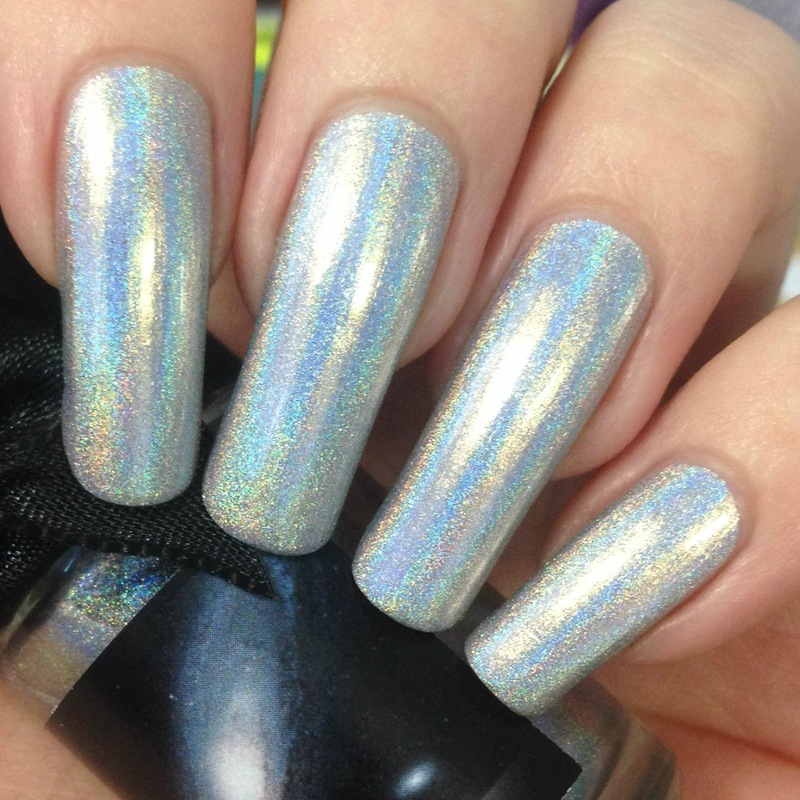 I started off with a base of Esmaltes Da Kelly 'Andromeda' (swatched here), a bright ultra holographic silver. Below is two coats and topcoat. 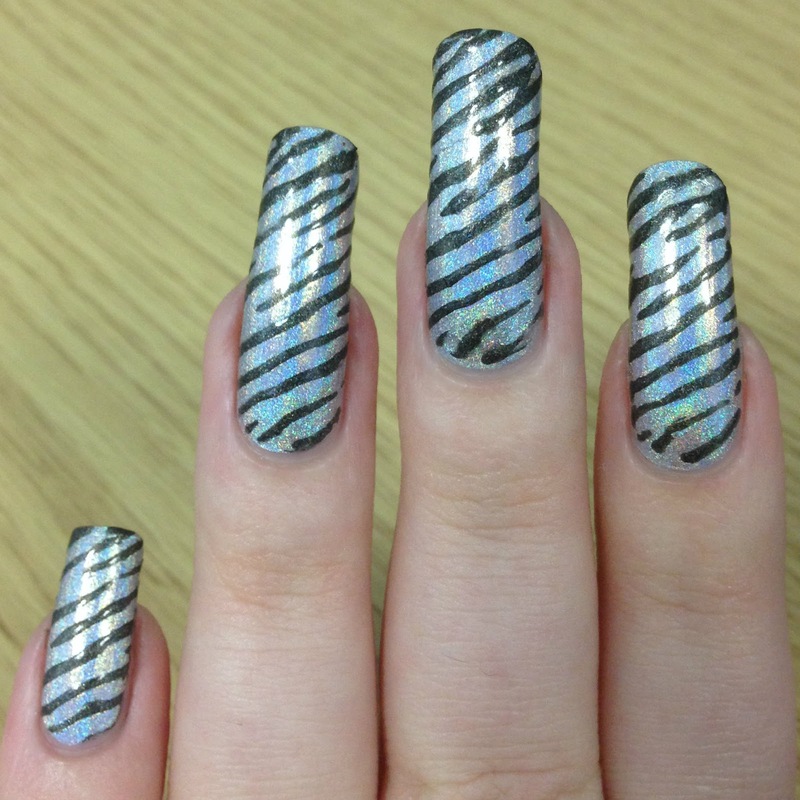 To create the stripes, I applied a vinyl onto each nail. They are made of a thicker material than I'm used to, which I really liked! You can pull and stretch them to get the exact positioning you want without worrying about any rips. I was also impressed with the sizing, as I was initially concerned whether or not they would be long enough for my nails. For my black polish, I used Opulent Essences holographic 'Opulent Omen' (swatched here). I painted over each nail one at a time, removing the vinyl immediately. I then let it dry for a few minutes before adding a final topcoat. What do you think? I love them! There are a few places where the vinyls have bled slightly, but nothing too bad. Considering this is the first time I've used full nail vinyls, I'm happy! It was so much easier than trying to get multiple smaller vinyls placed evenly. I'm excited to try some of the other patterns. You can find the full set of vinyls on Born Pretty's UK Amazon store here. These are great! It's awesome that they fit your long nails too! Most of the vinyls I see would never fit and you'd have to use 2 different ones to cover your whole nail. These look great! Wow your nails are so long and lovely! I love the holographic zebras! They look great, and awesome that they can fit with your longer nails! I love your review of these vinyls. It's great that they're durable and large enough for your nails!